Tag » love live! sunshine!! The official website for the Love Live! anime franchise has announced a Blu-ray of Love Live! Sunshine!! The School Idol Movie Over the Rainbow is set to be available on July 26, 2019. The all-new film telling a sequel sequel to its TV series was released in Japan on January 4, 2019. Hit the jump for more details about its release. The official YouTube channel for the Love Live! franchise has started streaming a 30-minute digest from the "Aqours 4th Love Live! ~SAILING TO THE SUNSHINE~" DVD/Blu-ray, which includes the nine-member voice actress unit Aqours' live concert at Tokyo Dome on November 17 and 18, 2018. Check out their gorgeous performance at the 50,000-capacity stadium after the jump! Publisher Genkosha announced today that 25-year old voice actress Ai Furihata's first photo book "Itoshiki" is set to be released in Japan on April 20, 2019. She is best known as Ruby Kurosawa in the Love Live! Sunshine!! 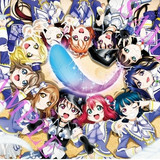 franchise and as a member of its nine-member VA unit Aqours. Check out samples photos from the four-season themed book after the jump! 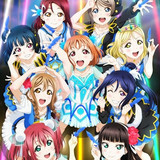 According to the latest Oricon sale report, the "Love Live! Sunshine!! Aqours 3rd LoveLive! 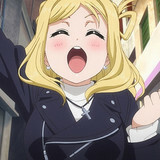 Tour ~WONDERFUL STORIES~" Blu-ray, released in Japan on March 6, 2019, sold an impressive 23,295 units in its first week, becoming the top-selling Blu-ray of the week. 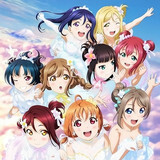 It marks Aqours' first No.1 live Blu-ray in the overall Blu-ray sales chart. Hit the jump for more details. Finally, the ninth and last member of Aqours, Mari Ohara joins the 1/7 scale figure collection inspired by the Blu-ray jacket illustrations of the Love Live! Sunshine!! TV anime first season. Select Japanese retailers will be accepting pre-orders for the the 16,500 yen (about 148 US dollars) item from today, and its scheduled shipping date is January 2020. Check out her details with a CM and photos after the jump! 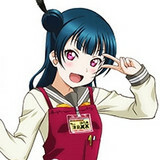 As reported, Yoshiko Tsushima from the Love Live! Sunshine!! franchise has been featured as the "kanban musume" (poster girl) of the Gamers Numazu store in Shizuoka Prefecture. To celebrate the store's third anniversary, she unveiled her new "kanban musume" visual today. Hit the jump for more details. It is conformed today that the total domestic box office gross of Love Live! Sunshine!! 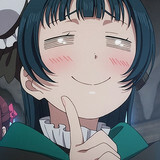 The School Idol Movie Over the Rainbow had crossed the one billion yen mark by February 22, in eight weeks since its release on January 4, 2019. It has become the third anime film that reached the milestone this year. Hit the jump for more details. Japanese moviegoers of Love Live! Sunshine!! The School Idol Movie Over the Rainbow have received different bonus items weekly in theaters, such as illustrated colored papers, raw films, and clear files. It is confirmed today that a B3-size (364mm×515mm) clear poster featuring the 11 school idols will be newly given to them in its seventh week of February 15-21. Check out its gorgeous visual after the jump! The official YouTube channel for the Love Live! franchise today posted a 60-second PV for the DVD/Blu-ray of "Aqours 4th Love Live! ~SAILING TO THE SUNSHINE~," the Love Live! Sunshine!! series' nine-member voice actress unit Aqours' first live concert at Tokyo Dome on November 17 and 18, 2018. Hit the jump for the detail of its release. 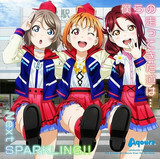 The Recording Industry Association of Japan (RIAJ) has announced that "Bokura no Hashittekita Michi wa.../Next SPARKLING!!" and "Tousou Meisou Möbius Loop/Hop? Stop? Nonstop!," the first two insert song singles from Love Live! Sunshine!! The School Idol Movie Over the Rainbow received Gold Disc certification. Hit the jump for more details. 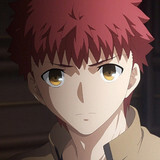 Fate/stay night: Heaven's Feel II. lost butterfly and Love Live! Sunshine!! The School Idol Movie Over the Rainbow still ranked in the Japanese box office top 10 for the weekend of February 2-3. The former earned 1.32 billion yen from its four-week run, while the latter made 810 million yen in five weeks. Hit the jump for more details. The Love Live! franchise's official YouTube channel has started streaming a 23-minute digest clip from the upcoming live DVD/Blu-ray "Love Live! Sunshine!! Aqours 3rd LoveLive! Tour ~WONDERFUL STORIES~" to be released on March 6, 2019. Check out the nine members' gorgeous stage performance after the jump!